80 cupcakes, made in 6 different flavours with a combinations of different decorations. 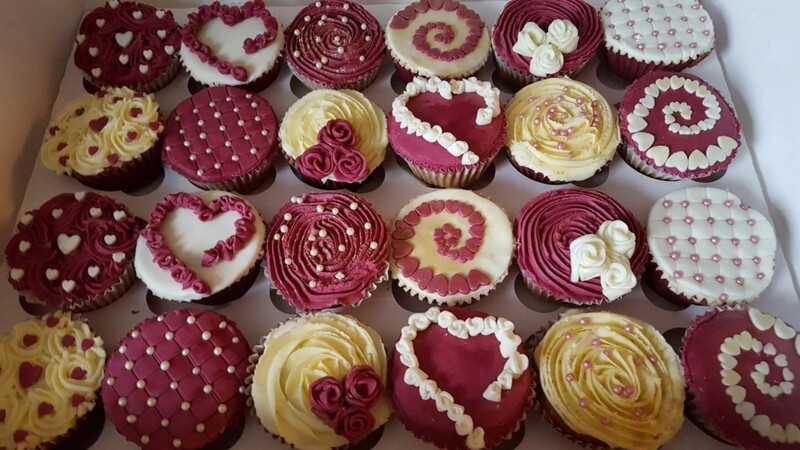 including burgundy, champagne, icing, buttercream, pearls, hearts, roses, swirls. All fitting with the theme of the wedding and made to match the giant cupcake.